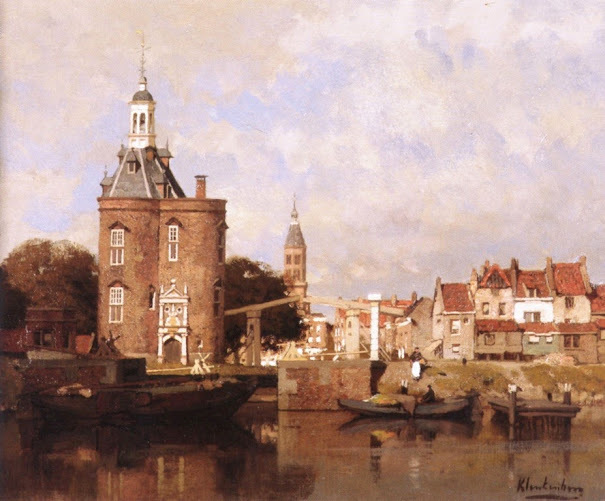 painting by Johannes Klinkenberg. Great billowing clouds lend a distinctive Dutch air to all his outdoor works. Touches of modern city life creep into works that still have some Golden Age romance in them, in buildings which strain to reach the light that animates all.